One of the most common causes of preventable health care-associated infections is poor hand hygiene. iScrub Lite 1.5, an iPhone and iPod touch application developed at the University of Iowa, makes monitoring hand hygiene compliance more efficient and accurate. iScrub allows a user to enter data on an iPhone or iPod and periodically email the information in spreadsheet form. U. IOWA (US)—A recent review of 96 hand hygiene studies from hospitals in industrialized nations found an overall hand hygiene adherence rate of 40 percent among health care workers. A new mobile app should make it easier to keep tabs on hand hygiene. 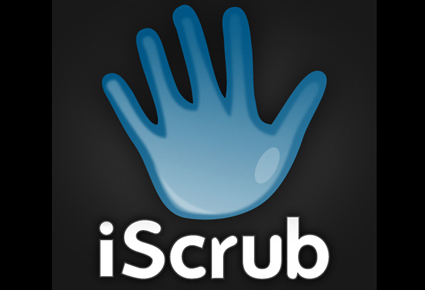 The availability of the free iScrub Lite 1.5 app on May 5 at the iTunes store coincides with the World Health Organization’s (WHO) “5 Moments for Hand Hygiene” campaign. The campaign, which is part of the WHO’s “Save Lives: Clean Your Hands” annual initiative, spells out the standard opportunities for health care workers to practice hand hygiene. “iScrub simplifies the time-consuming and error-prone process of recording observations, analyzing the data, and feeding results back to health care professionals and managers,” says Philip Polgreen, one of the app’s developers and an assistant professor of internal medicine at the University of Iowa. The Centers for Disease Control and Prevention (CDC) guideline for hand hygiene in health care settings recommends that hospitals periodically monitor hand hygiene adherence by health care personnel and provide feedback to personnel regarding performance. iScrub allows a user to enter data on an iPhone or iPod and periodically email the information in spreadsheet form to one or more email addresses of the user’s choosing. “Any institution can easily customize the free application to support their own monitoring needs,” Polgreen notes. “The long-term goal of our research is to understand hand hygiene behavior and use the feedback to help improve rates. This app can help standardize and streamline how observations are recorded,” Polgreen says. Currently, most hospitals have in-house observers use clipboards or note cards to record hand hygiene compliance, and the information is then transcribed into an electronic database, from which reports are generated. The app development was supported in part by grants from the CDC and the National Institutes of Health.